Properties in Concord average 4.6 out of 5 stars. Spacious fully furnished corporate housing all utilities inclu/ pets welcome! Property 4: Spacious fully furnished corporate housing all utilities inclu/ pets welcome! 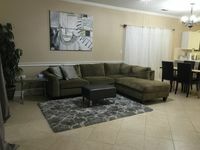 Property 5: Furnished, All Util Incl Corporate/Short Term 4 Bdrm Home/Great School! Beautiful family friendly home with endless activities!!! Property 7: Beautiful family friendly home with endless activities!!! Property 11: High end in Plaza Midwood w/ AMAZING amenities! Property 17: Quiet country living inside the Queen City. Updated. Spacious Home near Ballantyne. Quiet neighborhood very safe. Property 20: Updated. Spacious Home near Ballantyne. Quiet neighborhood very safe. Urban Escape w/Serene Views! Hottub. WiFi. Min to Uptown. Waterfalls. Trails. Property 21: Urban Escape w/Serene Views! Hottub. WiFi. Min to Uptown. Waterfalls. Trails. Private entrance into your very own movie theatre themed basement! Property 30: Private entrance into your very own movie theatre themed basement! Property 37: Best place in Charlotte! Spacious 3 Bedroom 2.5 Bath Home. Located In Walking Distance To Uptown! Property 44: Spacious 3 Bedroom 2.5 Bath Home. Located In Walking Distance To Uptown! Updated Ranch in S. Charlotte Close to TOP GOLF! Property 45: Updated Ranch in S. Charlotte Close to TOP GOLF! Is It Orange Or Is It Yellow - Secluded In The City, Minutes From Anywhere! Property 47: Is It Orange Or Is It Yellow - Secluded In The City, Minutes From Anywhere! This place was clean and well stocked. Perfect for our needs. We were in for the 55th mustang anniversary and to see family. It&rsquo;s very close to everything you can ever need. Defiantly will be staying again if possible in the future. Had a great stay here! Such a cozy, clean studio apartment which fit our needs perfectly! 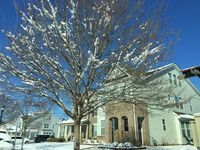 It is a short drive to all the popular places in the Charlotte area! My one complaint would be the $60 cleaning fee. We only stayed in the apartment for one night from check in at 3pm to checkout at 11am. The price for the stay was great but the $60 cleaning fee for only 20 hours of stay was a little over the top in my opinion. Other than that our stay was great!